Oppo Realme 1 vs RealMe 2 : Which is the Best RealMe Smartphone under ten thousand ? Home» Tech News » Oppo Realme 1 vs RealMe 2 : Which is the Best RealMe Smartphone under ten thousand ? The Independent Company RealMe has been launched its second smartphone, called RealMe 2 . It has been launched with an aggressive price. 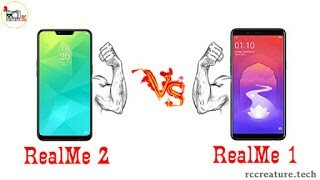 But now the question arises, which is the best between Realme 1 and Realme 2 ? Today, this article will clear your all doubts for the same. So, I will share the full specifications, features and price comparison between Oppo Realme 1 and RealMe 2. Let's get started ! Oppo Realme 1 has a 6-inch Full HD Plus IPS LCD display, which has a resolution of 1080x2160 pixels. The phone's aspect ratio is 18: 9. Its screen-to-body ratio is 78.9 percent and its dimension is 156.5 x 75.2 x 7.8 millimeters. The weight of the phone is 155 grams. Realme 2 has a 6.2-inch Full HD Plus IPS LCD display. Its screen resolution is 720x1520 pixels and the aspect ratio is 19: 9. Its screen-to-body ratio is 81.2 percent. Its screen comes with Corning Gorilla Glass 3 protection and its dimension is 156.2 x 75.6 x 8.2 millimeters. The phone is weighing about 168 grams. Realme 2's screen size and aspect ratio is better than Oppo Realme 1. However according to the screen resolution and weight, Oppo Realme 1 you may like. In Realme 2, you get the protection of Corning Gorilla Glass 3, which is not given in Oppo Realme 1. Also Read : RealMe 2 : Is it really the Budget Killer ? See Full Comparison between Realme 2, Honor 7A & Redmi Note 5 ! Oppo Realme 1 works on the Octa-Core MediaTek MT6771 Helio P60. At the same time, its operating system runs on Android Oreo 8.1. The phone is available in 3 variants of 3GB / 4GB / 6GB RAM and 32GB / 64GB / 128GB storage. The phone's storage can be increased to 256 GB via micro SD card. Realme 2's processor works on Qualcomm Snapdragon 450. At the same time, its operating system runs on Android Oreo 8.1. The phone has been introduced in two variants of 3GB / 4GB RAM and 32GB / 64GB storage. Its storage can be also increased to 256 GB via micro SD card. Also Read : The Real Flagship King : Can POCO F1 compete with Oneplus , Huawei and ASUS ? See Full Details here ! Realme 2 has 13 + 2 dual rear camera. At the same time, the selfie is equipped with an 8 megapixel camera. In Realme 2 you get a dual rear camera, which gives more stable photos. 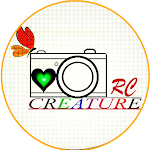 If photography is your first choice, then Realme 2 can become your first choice. Oppo Realme 1 is powered with 3410 mAh battery. At the same time, 4230 mAh of battery is equipped in Realme 2. If you want to use the phone for a long time playing high graphics games or for long time movie watching on it, then Realme 2 is the best choice for you. Also Read :What is the top 5 best Important features of Android 9 (Pie) ? Google Android P Launched ! Oppo Realme 1's 3GB RAM + 32GB storage variant is priced at Rs 8,990. And the 4GB RAM + 64GB storage variant is priced at Rs 10,990. However, the phone with 6GB RAM + 128 GB storage is priced at Rs 13,990. Realme 2's 3GB RAM + 32GB storage variant is priced at Rs 8,990. At the same time, 4GB RAM + 64GB storage variant is priced at Rs 10,990. So, In price segment both the smartphones are affordable. 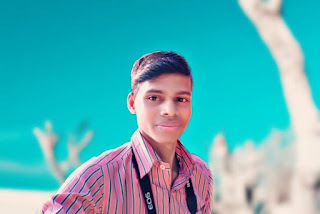 But if you ask me which should I buy between these, then I would suggest you to purchase the RealMe 2 because its all specifications, processors are better than Oppo RealMe 1 . Smartphone companies are launching their smartphones with more aggressive and decent price in India. Like other companies, RealMe Company was also launched its awesome budget phone with affordable price. But sometime, we got confused when we go to purchase a smartphone of the same company . So, in this article, I shared a brief and complete comparison regarding specifications, features and price between Real Me 1 and Real Me 2 smartphones. Hope, you have enjoyed very much. Thanks for reading till last.